I have loved cats my entire life, and am privileged to have three beautiful felines in my family right now. If you are interested in cat photos, as well as essays and other thoughts concerning these amazing creatures, I have a website completely dedicated to cats. Recently, I became concerned as I realized that an increasing percentage of cats have become overweight. Unlike humans, who have a far more complex lifestyle and diet, the solution to cat obesity is quite simple. As such, I combined my research and experience into a slender volume, with the hopes that millions of people who love their cats can restore full health and youthful energy to their beloved felines. For more than 40 years, I have loved cats, and enjoyed the many special benefits of their unique companionship. Unfortunately, in the year 2010, I discovered to my horror that my indoor cats were becoming quite obese. I tried every diet I could think of, and then consulted with a veterinarian, and paid a ton of money for very expensive scientific formulas. Unfortunately, nothing worked. I knew that cats were different than people, and I couldn’t tell my cat to hit the gym, or quit eating fast-food. I was to blame for their obesity, and it was killing me with guilt and shame. I felt like my only choice was to either feed my cats as much as they wanted to eat, and watch them get fatter and fatter, or else cut their food intake, and listen to them cry hungrily. It was an awful feeling, and I was determined to find a solution that would work so that my beautiful cats could keep and maintain a healthy weight. Thankfully, after months of intense research, I have discovered the solution. 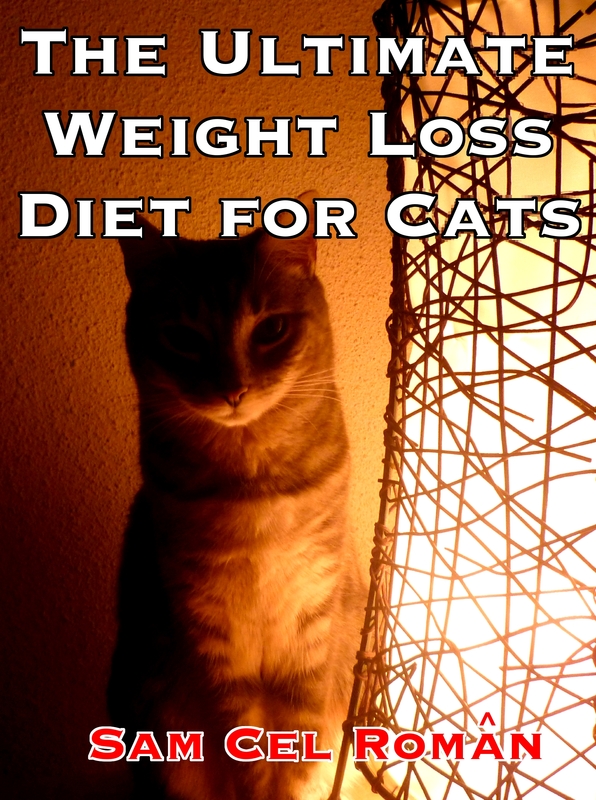 The Ultimate Weight Loss Diet for Cats works for all felines, sterilized or not, no matter what breed, age, or temperament. The secrets revealed in this book will free your cat forever from the plague of obesity and poor health. In just a few short weeks, your cat will respond to this diet with shiny, soft fur, clear eyes, a healthy wet nose, and abundant energy and maximum vitality. Not only will you see your cat restored to their natural and majestic state, but you will save a ton of money too. This is truly a win-win for everyone, cat lovers and cats alike, and no longer will any feline suffer the indignity of obesity and poor health. By unlocking the secrets of cat diet and nutrition, this simple, easy-to-implement diet will completely transform the lives of cat, and the people who love them. This book can be downloaded in a wide variety of digital formats at Smashwords for $2.99.